There is only one real stand out bout amongst the preliminaries to the big WBA & WBO Lightweight Title showdown at the Staples Centre in Los Angeles this Friday night. 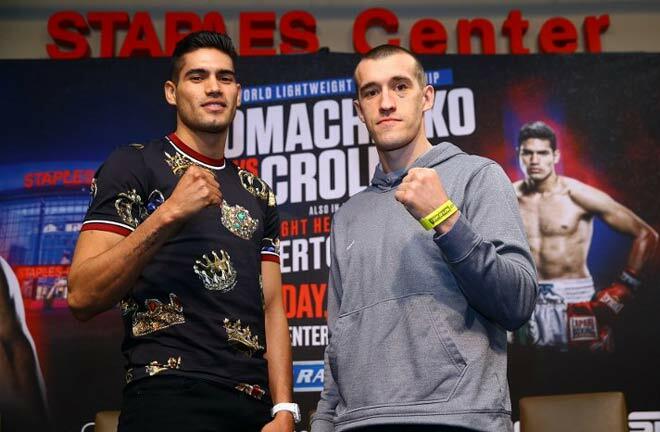 Prior to the main event of Vasiliy Lomachenko taking on Anthony Crolla, the much avoided WBO Super Middleweight Champion, Gilberto Ramirez (39-0, KO25), dips his toes in Light Heavyweight waters in a ten round chief support bout. It’s from here where we will know the Mexican’s next move, as Billy Joe Saunders fights for the interim version of Ramirez’s belt next month, so it will be vacate or face the winner of Saunders’ match next month with Shefat Isufi. Ramirez’s opponent in LA is the tried and tested gatekeeper, Tommy Karpency (29-6-1, KO18), who has twice unsuccessfully attempted to win a version of the World Title. The 33 year old Pennsylvanian is most definitely in the twilight of his career, although he is unbeaten in three fights at a much lower level than he has been used to. UK fight fans will remember Karpency travelling to Cardiff in February 2012, losing every round in a challenge for Nathan Cleverly’s WBO Title. Andrzej Fonfara then stopped him in seven in an IBO Title tilt nine months later. He was knocked down twice in the opener, but was ahead on two cards prior to the stoppage.
.@RamireZurdo is up for a new challenge as he makes his light heavyweight debut against Tommy Karpency. What do you expect from the super middleweight champ? He regrouped and scored a career best win over Chad Dawson via split decision in October 2014, which two fights later lead to a shot at the WBC Title. The step up again was too great for Tommy, and he was stopped in three by Adonis Stevenson in Canada. Karpency has lost once since, knocking down current WBC Champion, Oleksandr Gvozdyk in round one, before being stopped in six back in July 2016. Three wins on the bounce against opponents with a combined record of 58-60-1 have boosed the American’s confidence, and he will look to cause a major upset against Ramirez. Sinaloa native Gilberto Ramirez has been largely avoided by the top boys at Super Middleweight since winning every round to take the WBO Title from Arthur Abraham in April 2016. He has been forced to settle for routine defences against limited opposition ever since, making five successful defences of his belt. 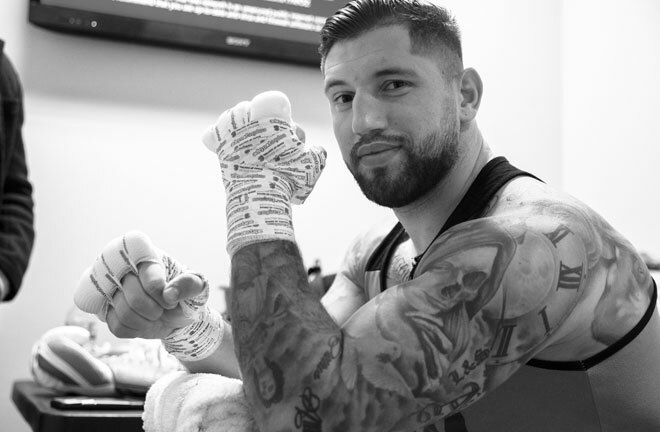 The only man to really trouble him has been Jessie Hart, who rallied from a second round knockdown in September 2017 to push Ramirez to the cards, where Gilberto triumphed by a tight decision. After two more wins, Ramirez re-matched Hart in his last outing. It was an even closer affair this time, with Ramirez repeating his original win, this time via majority decision. He did explain that he was moving up to Light Heavyweight in search of Titles, but also declared he had been tight at the weight in his December 2018 sequel with Hart. With 25 knockouts on the slate, the 27 year old will be looking to make an immediate statement at 175lbs this weekend. Prediction: Karpency has been floored numerous times in his career, and Ramirez could drop the American early in this one. Much like previous defeats, I expect Karpency to be brave and last until just after halfway, where a Ramirez stoppage win should be imminent. 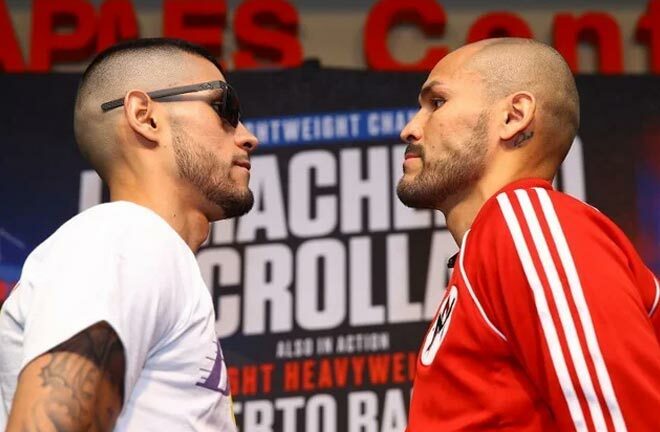 The only other fight of note on the card sees largely untested Arnold Barboza Junior (20-0, KO7) in a ten rounder at Welterweight against the faded, but unbeaten in six, former WBO Super Lightweight Champion, Mike Alvarado (40-4, KO28). This one is surely a measure of how much Alvarado has left at 38 years old. Once a hot prospect, Alvarado’s career nosedived after three brutal wars with Brandon Rios. Between October 2012 and January 2015, Alvarado went 1-4 in punishing defeats to Russian hard man, Ruslan Provodnikov (L RTD 10), Juan Manuel Marquez (Wide unanimous decision) along with two knockout losses to Rios. “Mile High” Alvarado, did turn the tables with a unanimous points win over his rival Rios in 2013 to even up their series at 1-1. Since his rubber match loss to Rios in 2015, Alvarado is unbeaten in six, but against much lower level opposition, all bar one ending in a knockout. Barboza is eleven years Alvarado’s junior, but hasn’t fought near the level of his opponent in a near six year career. The Los Angeles man’s last outing was in December 2018, with a shutout points win against Manuel Lopez to earn him the NABF Title. BArboza has visited the canvas before, and one would think that Alvarado’s best chance is to catch his man cold early doors. I think the younger, fresher Barboza will be able to stay out of trouble though to record a comfortable points win.